Fall Spa Week kicks off nationwide Monday October 17th through October 23rd; dozens of your favorite spas are offering $50 treatments, including one of my favorite Newbury Street spas, Skin Spa New York. They've taken the event a step further and is offering $50 treatments throughout the month of October. 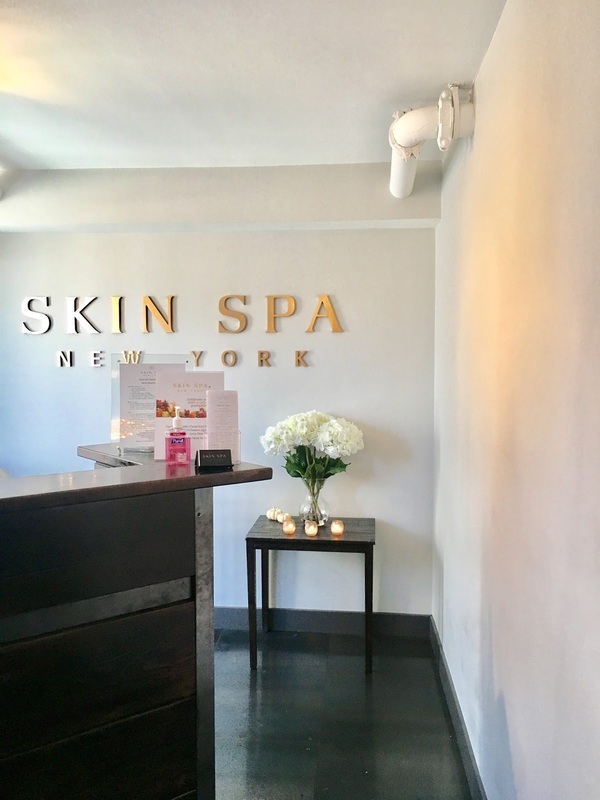 I stopped by Skin Spa New York to celebrate Spa Week a little early and to indulge in a customized facial before my weekend trip to Foxwoods. My facial included a cleansing and exfoliating treatment, extractions, a mini-neck and shoulder massage, and a hydrating face mask. I left with my skin feeling ultra clean and hydrated and am looking forward to squeezing in one more appointment this month-- $50 is an unbeatable price for these services. In addition to Skin Spa New York, there are a number of area salons participating in Brookline and Newton. Head to spaweek.com for a complete list of participating salons and $50 treatments! I was provided a complimentary facial for review and promotional purposes. All content and opinions expressed are my own. Thanks for supporting those who support Style-Wire.com!